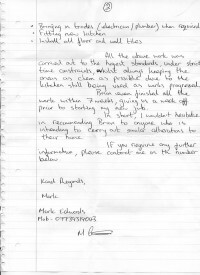 These testimonials are available to view and images of them are at the end of this page. Bryan was recommended to us by friends; in turn we would recommend him to others. 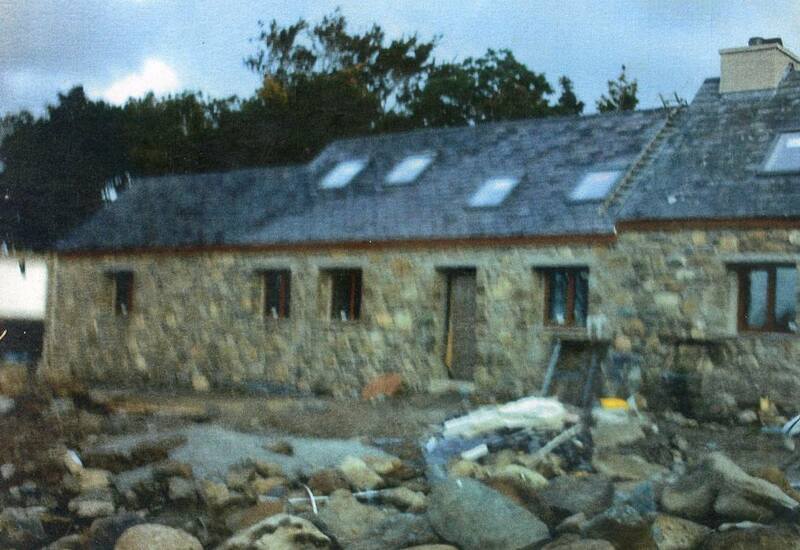 Our house needed re-rendering; Bryan gave us a very reasonable estimate. Once his team began work, they quickly found that the original render had not been properly applied (or indeed finished around windows), and so we had a lot of preparatory work to do. Their progress was marked by a thinking approach, and careful and thorough execution. 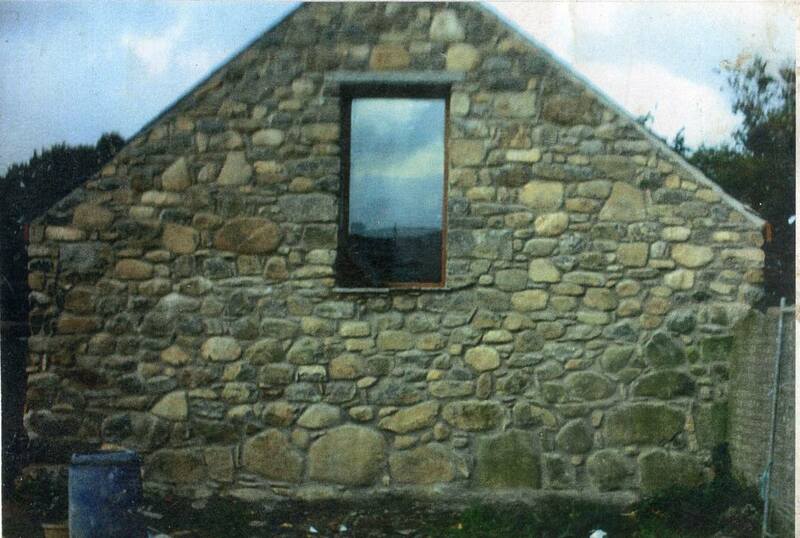 The finish they applied is excellent, and the care taken around windows and doors exemplary. Bryan finished by painting the new render and associated woodwork. We are delighted with the result. It is important to say that it was a pleasure to have Bryan on our property; both he and his team were good-humoured (whatever the weather), courteous and thoughtful. …. 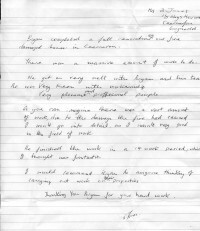 Bryan commenced work in early August and did a fantastic job. Once he had started he remained on the job until completion, not once leaving to go to another job. 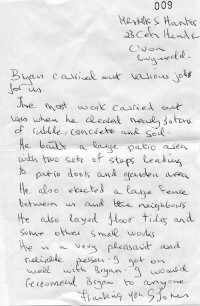 We found Bryan to be hard-working, respectful and polite, just as the testimonials had said. All rubbish and rubble was removed and he also did a couple of other little jobs as well. 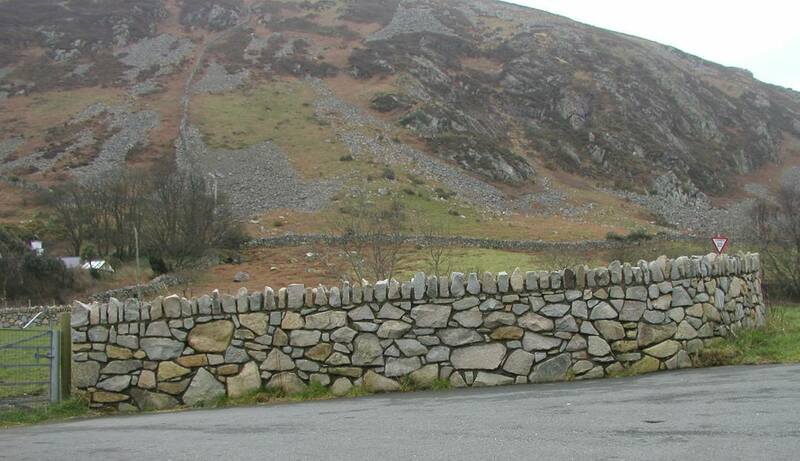 We would not hesitate to recommend Bryan to anyone requiring building or stone work done. Thank you Bryan for a job well done. 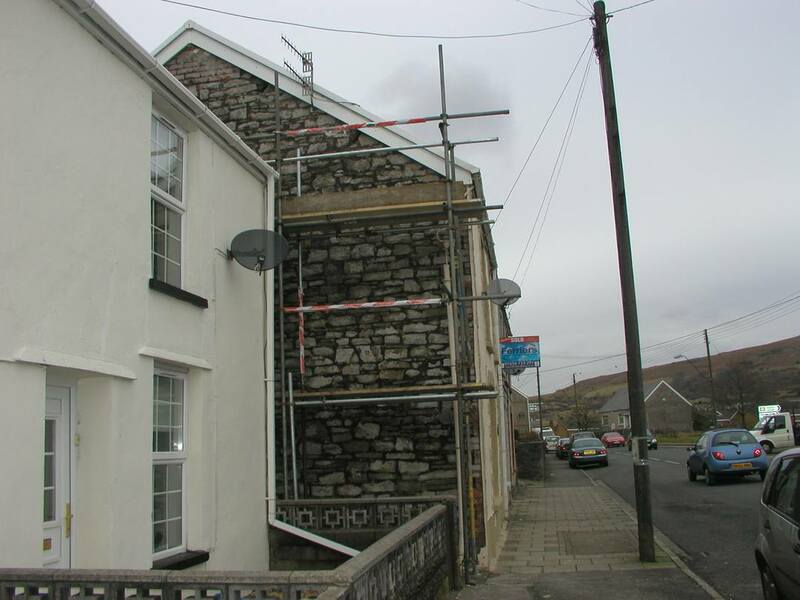 Bryan completed a full renovation on our fire damaged house in Caernarfon. There was a massive amount of work to do. We got on very well with Bryan and his team. He was very keen with workmanship. Very pleasant and professional people. As you can imagine there was a vast amount of work due to the damage the fire had caused. I won’t go into detail as I wasn’t very good in this field of work. He finished the work in a 14 week period, which I thought was fantastic. 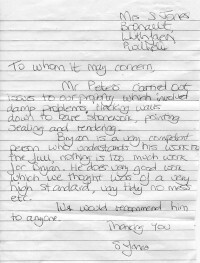 I would recommend Bryan to anyone thinking of carrying out work on their properties. Thank you Bryan for your hard work. Bryan carried out various jobs for us. 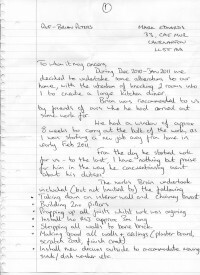 The most work carried out was when he cleared nearly 30 tons of rubble, concrete and soil. 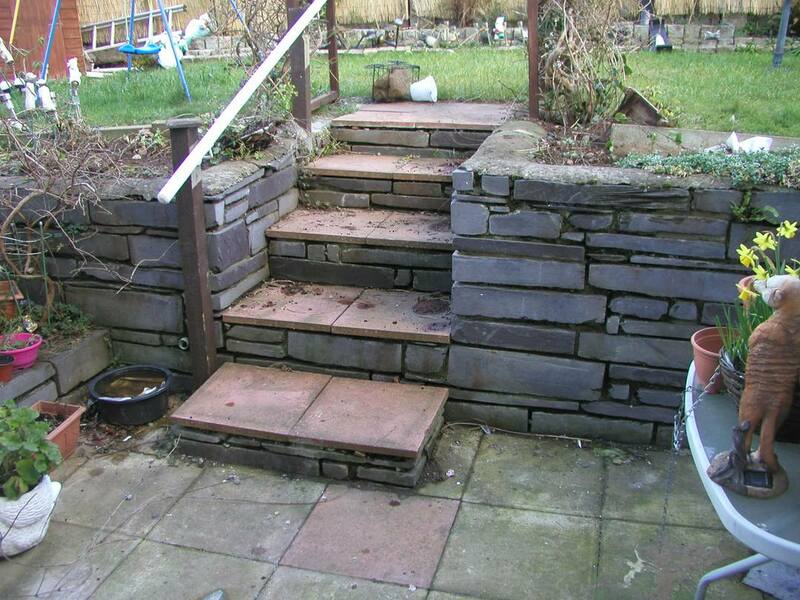 He built a large patio area with two sets of steps leading to patio doors and garden area. He also erected a large fence between us and the neighbours. He also laid floor tiles and some other small works. He is a very pleasant and reliable person. I got on well with Bryan. I would recommend Bryan to anyone. I have no hesitation in recommending Mr Peters’s work to anyone. 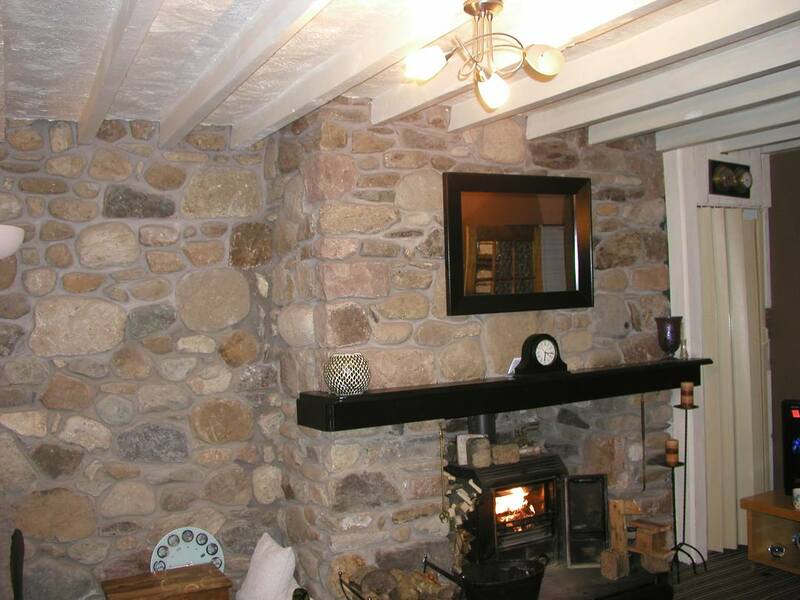 Mr Peters carried out work to our property which involved damp problems, hacking walls down to bare stonework, pointing, sealing and rendering. Bryan is a very competent person who understands his work to the full, nothing is too much work for Bryan. He does very good work which we thought was of a very high standard, very tidy, no mess etc. During December 2010 – January 2011 we decided to undertake some alterations our home, with the intention of knocking 2 rooms into I to create a large kitchen diner. Brian was recommended to us by friends of ours who he had carried out some work for. We a a window of approx 8 weeks to carry out the bulk of the works as I was starting a new job away from home in early February 2011. From the day he started work for us – to the last, I have nothing but praise for him in the way he conscientiously went about his duties. All the above work was carried out to the highest standards, under strict time constraints, whilst always keeping the areas as clean as possible due to the kitchen still being used as works progressed. Brian even finished all the work within 7 weeks, giving us a week off prior to starting my new job. In short, I wouldn’t hesitate in recommending Brian to anyone who is intending to carry out similar alterations to their home. 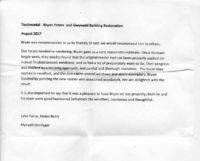 Gwynedd Restoration undertook a number of jobs for us, all of which were carried out in a very professional manner to a high standard and at a very fair price. You can just outline what you want and leave them to it in complete confidence.